The Underground: Author Interview with Audrey Greathouse + Cover Reveal! Author Interview with Audrey Greathouse + Cover Reveal! It is with great pleasure that I would like to welcome Audrey Greathouse, author of The Neverland Wars, to the Underground! Audrey writes mostly science fiction and fantasy, but has published some of her poetry on ezines. 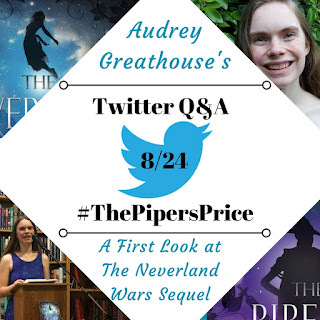 She is currently working with her publisher, Clean Teen Publishing, on releasing the sequel to The Neverland Wars. 1) Since the Neverland Wars released, you’ve received such a wonderful response from the young adult blogging community. What has been your favorite response from readers so far? I would say my favorite response is “me too.” Gwen is resonating with a lot of teenagers, and many of them are contacting me to say they relate to her. Adult readers are loving The Neverland Wars, too, but I feel like that's an audience who has often already figured out how to deal with the problems Gwen faces in her head. Knowing that teenagers who are actively dealing with the issue of growing up are connecting with this story is the best feeling. One girl got in touch with me and wrote, “Thank you for reminding me that even though I am 17, I am not grown up yet and I can still enjoy being a kid!” I couldn't have asked for a better response. 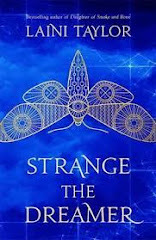 2) Do you have any tips/“secrets” for other authors when it comes to marketing yourself and your book? It won't come as any surprise to you, but book bloggers are the lynch pin of my marketing plan. Lots of aspiring authors aren't even aware of this community, or how much of an impact book bloggers have on a book. I haven't done any paid ads for The Neverland Wars and neither has my publisher, and yet the book is in Barnes and Nobles everywhere from Pensacola to Manhattan... and selling! I think, from a marketing perspective, a review on the right book blog is worth more than an editorial review these days. I don't really invest in the “author brand” idea, and I'm not really trying to find “fans.” I wrote The Neverland Wars because I had a feeling I didn't see anyone else struggling with while growing up. My goal is to find other people who share that feeling. I'm looking for everyone who can say “me too, and—” I want to find other creative people to collaborate and discuss life with. Ultimately, I want The Neverland Wars to bring new and exciting people into my life, not just bring my words into other people's bookshelves. 3) Are you a planner or a pantser when it comes to writing? Do you like to outline or prefer to let the story reveal itself? Definitely a planner. I love outlining and I nurse story ideas for months or years before I even start drafting them. I like to see which story ideas are going to “stick” with me. Once I realize that I'm never going to stop thinking about this story until I've written the book, that's when I know I have a great idea that really will work as a novel. The amazing thing is that no matter how long I wait or how much I outline, the writing process is always full of surprises. Writers may be planners, but characters are always pansters, and they can hijack the storyline in a million different ways before I get to the ending I have in mind. Writing a good novel is a lot like taking a good roadtrip. You have a destination in mind and lots of landmarks you want to see along the way, but the exact roads and stops you take to get there will naturally come with a few surprises. 4) As well as writing novels, you’ve written and published your poetry as well. What would you say are the pros and cons to writing novels vs poetry? Believe it or not, I think novels are easier! My favorite aspect of writing is the narrative and characters, which are two elements poetry captures only minimally. I love sharing my characters with people, and while I might write a poem about a person, the reader doesn't walk away with as detailed an image of that person or their story as I could give them in fiction. I think most young adult readers feel that way too...which is why they seek out so little poetry. I probably only really got into poetry because I wasn't musically competent enough to write songs. I love rhyme and meter and form poetry... all the things that are woefully out of fashion in this post-modern world. The best thing about poetry is how quickly you can pound out a draft and get a sense of catharsis though. I like being able to sit down with a feeling and an hour and a few verses later know that I managed to put it to words. 5) What would you say are the differences between publishing poetry and publishing a novel? Most notably, the pay. There's a lot of commercial fiction in the world, not so much commercial poetry. Like short stories, poems are usually sold to literary magazines and that is a whole other world from book publishing. Literary magazines are changing just as much with the event of ebooks and the internet, however, and my experiences with online 'zines have been fantastic. I've worked with other writers I never would have known about in my own hometown and editors as far away as India, Australia, and England. The internet is breaking down barriers, and the sort of people who publish poetry are really in it for the joy of the art. There's aspects of that passion which I really miss now that I'm working for a publisher that is actively trying grow and turn a larger profit than last quarter. Swing by Twitter tomorrow for a Q&A with Audrey! 6) What would you say is your highest hope for The Neverland Wars? What would be your ultimate “dream come true” moment? I suppose most writers would say when it gets a movie deal or hits bestseller status... but I feel like my dreams go beyond that. The mental image that question triggers for me is sitting down at a bar with Neil Gaiman and talking to him about it, and all sorts of other stories we're both reading and writing. There are a lot of fantastic artists who have inspired and evoked that “me too” feeling from me, and really I have this strange hope that someday my art will be a high enough caliber that these people with such wonderfully refined and strange aesthetic tastes can enjoy it. I'd really like to give a story back to all the people who have given me my favorite stories over the years. 7) What has been the hardest part of your publishing journey? 8) How did NaNoWriMo help you as a writer? It prevented the number one thing that keeps potential writers from getting published—giving up before they've even finished a draft. Writing is a lot like walking a tight rope for the first few hundred thousand words. You can't look down and realize how bad your writing is or you'll be paralyzed by that realization. You just have to keep going and know that it will get better... that you will get better. NaNoWriMo has forced me to draft eight novels now, and I grew more as a writer with each of those. A lot of them will never be published, but they were still invaluable because I learned so much in the process. The Neverland Wars was a NaNoWriMo novel, the sequel was last year's NaNoWriMo project, and you can rest assured I'm looking forward to November to draft a final installment in this trilogy! 9) Why write science fiction and fantasy? What about the genres appeals to you most? I've always thought that science was in charge of showing us what life is, and art is charge of showing us how life feels. In reality, life behaves by a pretty universal set of physical principles, but it doesn't always feel that way. Sometimes it feels like you have an ocean inside of you, or it feels like you actually could fly. They say that you shouldn't let the facts get in the way of a good story, so when I wrote The Neverland Wars, I didn't let silly things like gravity or mortality get in the way of telling the story of what it is like to grow up in this world. or secrets you can share? 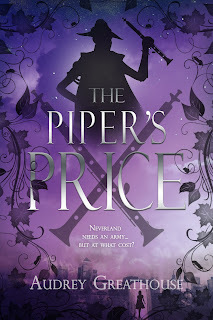 The Piper's Price has a lot more of Jay in it, and a lot more adult characters. Peter wants to retaliate against reality, and in the process, Gwen ends up meeting a lot of people on the other side of this fight and getting a peak into their motives and rational. I really love working with Gwen because she embodies a lot of the neutrality and unwillingness to commit that you experience in your teen years. She also spends more time away from Rosemary, under both favorable and unfavorable circumstances, so it is great to get that look into how she behaves when she doesn't have her little sister in tow. Gwen is much more on her own in this book, which gives her a chance to grow as a person, and give more thought to whether or not she actually wants to grow up. Hunting him down will require a spy in in the real world, and Gwen soon finds herself in charge of locating the Piper and cutting an uncertain deal with him. She isn’t sure if Peter trusts her that much, or if he’s just trying to keep her away from him in Neverland. Are they friends, or just allies? But Peter might not even matter now that she's nearly home and meeting with Jay again. 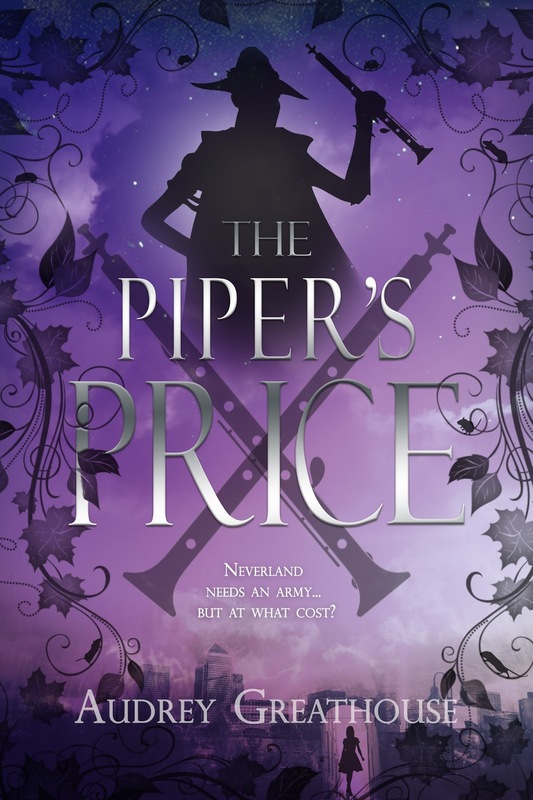 The Piper isn't the only one hiding from the adults' war on magic though, and when Gwen goes back to reality, she'll have to confront one of Peter's oldest friends… and one of his earliest enemies.